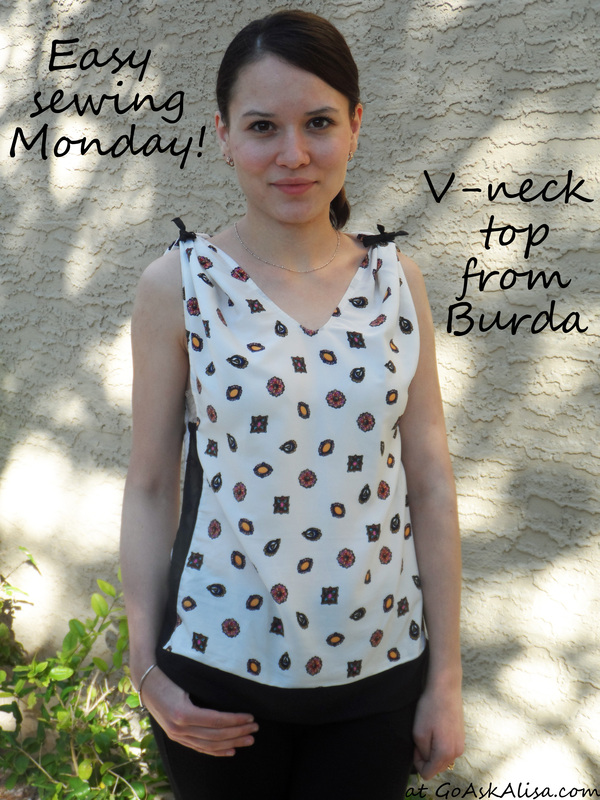 Sewing Mondays: gathered sleeve top – Go ask Alisa – DIY capsule wardrobe one stitch at a time! This month has been crazy: we have just moved into our new home, wedding is getting closer and close and for some reason life throws at us unexpected twists and turns. I love life the way it is and it does not bother me, the only thing though – I wish I could have 34 h in a day, so I could start a project and finish it the same day. Anyways, I have been sewing quite a lot, but did not really have time to post it only, I know, it is a shame. 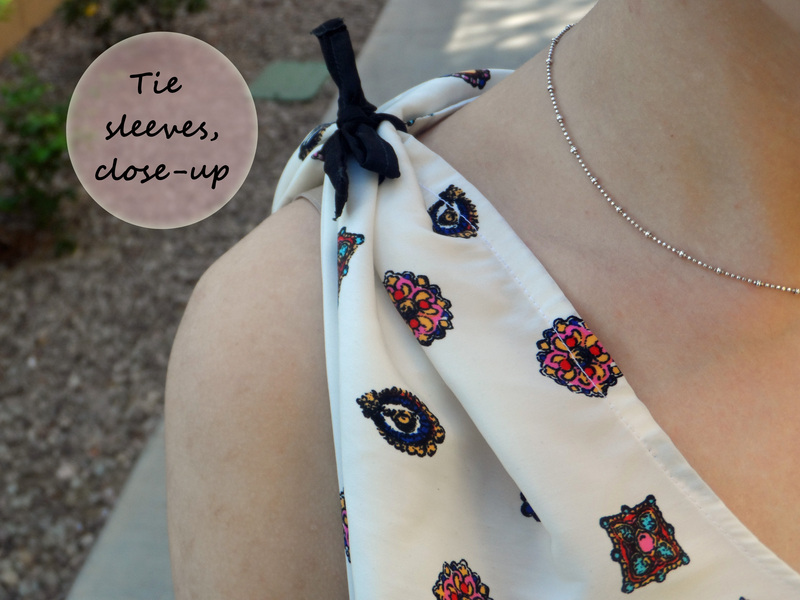 So today I am more than happy to present you a quick project to add something to your wardrobe. New elements: I added sheer black panels on the sides and on the bottom. Also, originally this top was supposed to be with the gathered sleeves, but I decided to use a tie-up style. I must say, I quite like it. V-neck is a bit unusual for me, but it is pretty comfy and not too low. I am not sure I would use this pattern again, just because my style is a bit different from this, but all in all it is a lovely idea. Choose n fabric, with some body and drape. Happy sewing! Such a cute top and it looks so easy to wear!